President Trump wall request has come with terrifying threat. President Trump has made a historic threat to congress. 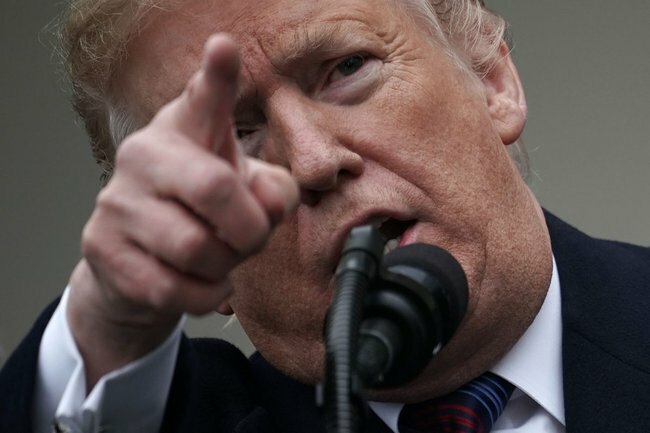 President Donald Trump has threatened to keep the US government partially shut for months or years after he and Democratic leaders failed to resolve their dispute over Trump’s request for $US5.6 billion ($A7.9 billion) to build a wall on the Mexican border. The US Constitution assigns Congress the power to fund the federal government, so Trump likely would face legal challenges if he tried to bypass Congress on financing the wall. Building a wall – and having Mexico pay for it – was one of Trump’s main promises when he ran for president in 2016.